It’s time for some Back to School fun! The new school year is almost here. Get your child excited about heading back to the books with some DIY fun. One crafty idea? 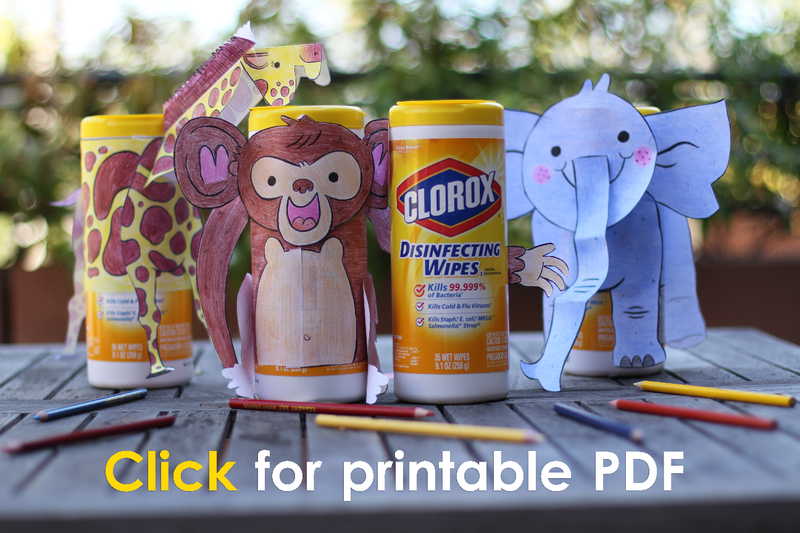 Turn a shopping list favorite, Clorox® Disinfecting Wipes, into a cute zoo animal with this printable coloring activity. Help them create a unique masterpiece they can be proud of! Cut out the shapes, then hand them over to color and assemble. Afterwards, your child can take their colorful creation to school and gift it to the teacher. Clorox® Disinfecting Wipes are a teacher’s best friend for keeping the classroom germ-free. Pick from the smiley elephant, tall giraffe or cheeky monkey. You could even host a Back to School play date, where kids can create an entire zoo! Grab your craft supplies and download the printable template below.